It's a good day for those in the C-suites of Hyundai and Dodge Ram trucks, a unit of Fiat Chrysler (FCAU - Get Report) . 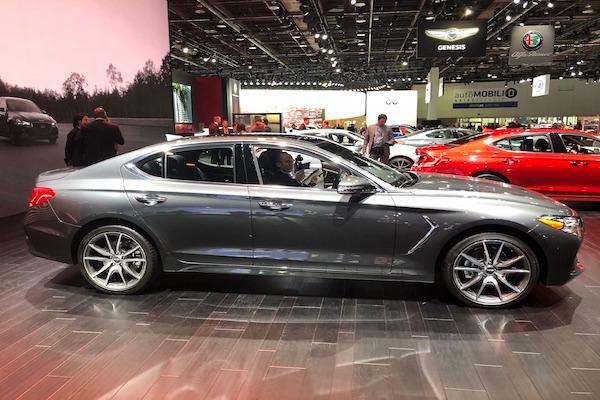 The two automakers took home some big-time hardware at the opening of the 2019 Detroit Auto Show. The Dodge Ram 1500 won the North American Truck of the Year and Hyundai will happily hoist two pieces of hardware at its offices. 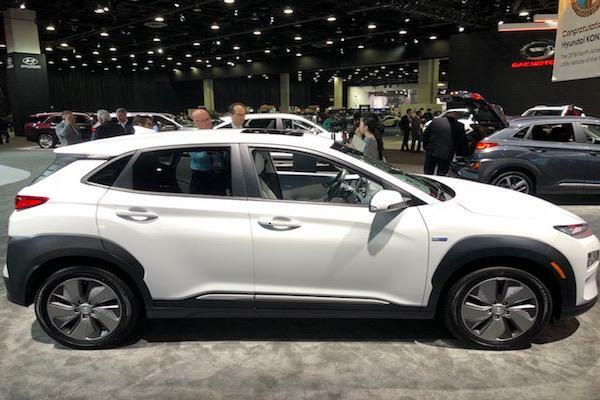 The company's Kona and Kona EV won the North American Utility of the Year award while the automaker's luxury division, Genesis, saw its G70 sedan win the North American Car of the Year award. From the North American International Auto Show, "Chosen by a panel of 54 respected jurors from print, online, radio and broadcast media across the U.S. and Canada - rather than a single publication or media outlet - the awards are among the most prestigious and unique in the industry." The Kona beat out 20 other eligible models for the year. Here's a fresh look of the vehicle just after the award, which beat out the Jaguar I-Pace and Acura RDX. The Dodge Ram 1500 -- appropriately holding a massive version of the award in the pickup's bed -- beat out two General Motors' (GM - Get Report) trucks, going against the Chevrolet Silverado 1500 and the GMC Sierra 1500. Stay with TheStreet for more updates from the Detroit Auto Show!